Between luxury and technology: the Private Home Theater lands in Milan. 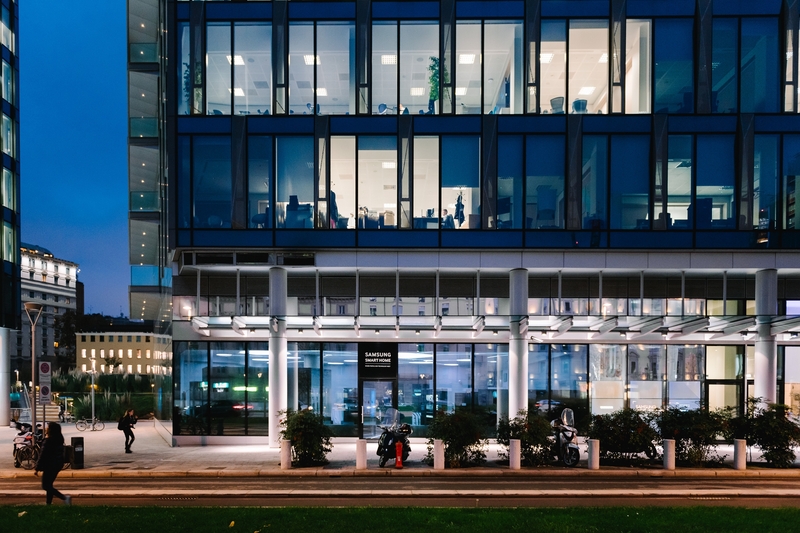 The partnership between Vismara and Samsung keeps going and strengthening thanks to the launch of a unique project, the Private Home Theater – a permanent installation inside the Samsung District, in the heart of Milan’s most avant-garde neighborhood, Porta Nuova. A special night dedicated to the exploration and celebration of luxury, a widely debated yet constantly evolving theme. This night has ushered in an incredible, new way of living the concept of luxury, overcoming the mere objects and experimenting a true overwhelming experience: the luxury of enjoying one’s own precious time in a fully tailored, “ad hoc” environment. The event got underway with an interesting talk among a number of luxury market experts, such as Sanlorenzo Yacht, Melià Hotels, Vismara Design and Steinway Lyngdorf, with Cristina Morozzi – one of the most prominent journalists and critics of contemporary design – as a moderator. A new trend took shape and simultaneously marked a significant shift in the perception of luxury goods, for which it is now imperative to have both an aesthetic appeal and a practical function. Customers now favour products that can make them live unique experiences, regardless of the type of items themselves – a hotel, a yacht or a furnished room. The new necessity of luxury consumers is to quest for special moments to share. The event then continued with the proper launch of the Private Home Theater. 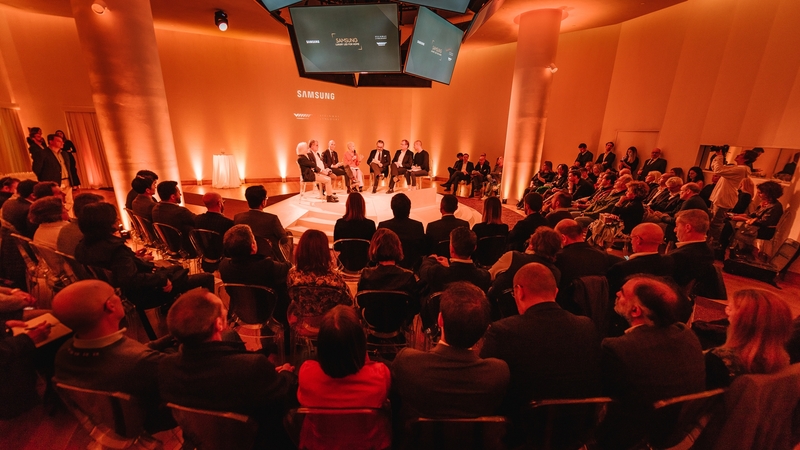 Perfectly illustrating the strengths of this product, Samsung Italia I.T. Manager Davide Corti said that “it is specially designed for domestic environments where taste and A/V excellence really rule the roost. Here we want to target customers who look for a unique and unforgettable entertainment experience in an environment furnished with materials of the highest quality”. The guests were given the opportunity to visit and, above all, feeling the Private Home Theater. They made themselves at home with Vismara’s armchairs, while appreciating the incredible resolution of the Samsung Led Screen and completely immersing themselves in the ambience thanks to the Steinway Lyngdorf audio experience. Design and comfort are fundamental characteristics of Vismara’s Home Theater furniture. An exclusive home theater is now an essential element in the design of high-end villas and apartments. Vismara is specialised in creating and realising luxury Home Theaters that are highly customisable in their finish, colours and models. Starting from the design of the reclining armchairs, equipped with all modern comforts, nothing is left to chance. Each element is carefully studied to create turn-key solutions by offering not only reclining armchairs but also woodworks and sound-absorbent panelling that can grant a sheer enjoyment of the environment. The major innovation is definitely represented by the Samsung Led Screen, a product capable of extremely high visual performances. Through the IF series, available both in the FHD format (109 and 13 inches) and the UHD format (219 and 260 inches), a modular configuration can be obtained so as to choose the dimensions that best suit one’s own home spaces. It is a new, custom way of presenting a product by specially focussing on the end-user’s demands. This frames an entirely new concept of home entertainment. The Home Theater presented in Milan is also equipped with a Dolby Atmos audio system of the Steinway Lyngdorf company. It is a surround sound system whose peculiarity relies in positioning the speakers not only on the wall but also on the ceiling, so in a three-dimensional space. 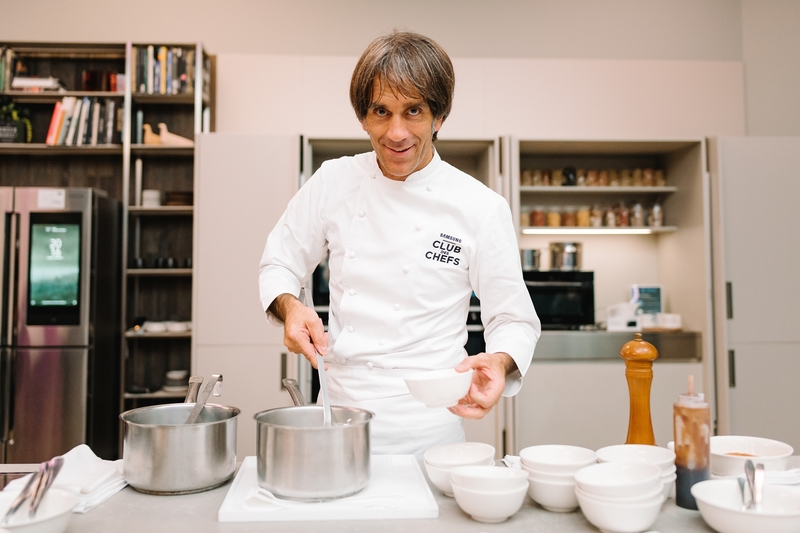 The event concluded in the high-tech scenery of the Smart Arena, with a cocktail party and a show-cooking hosted by the renowned top chef Davide Oldani, who charmed and delighted the guests with his culinary skills. 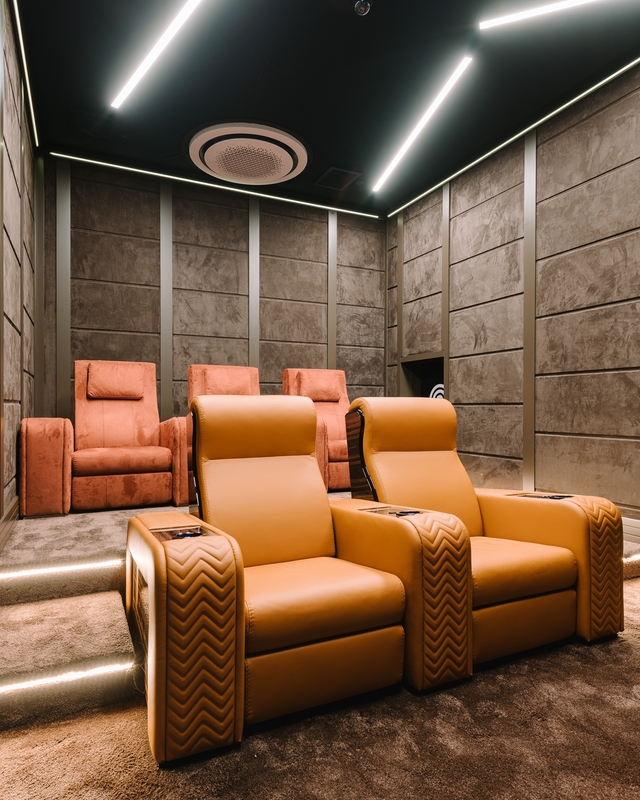 This wonderful reproduction of the Private Home Theater, which is the result of the combined value of Samsung, Vismara Design and Steinway Lyngdorf, is located in Milan, inside the Samsung District, and could be visited by appointment. This version can also be reduplicated and will be commercially available all over the world, thanks to a custom-made service and a special team ready to make every customer’s needs come true. Open to public from 13th of November 2018.